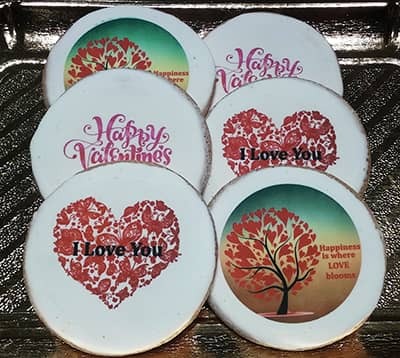 Express your affection for that special somebody in your life with our freshly baked butter cookies. Hand decorated and topped with loving edible expressions, these treats are a sure way to please everybody. Our freshly baked butter cookies are one of a kind. These tasty confections are made with the finest ingredients and hand decorated with edible images. Each of the cookies come individually bagged in cellophane wrapping.